Interested in joining the CAG?. I do not want to be included in the Corridor Advocacy Group. 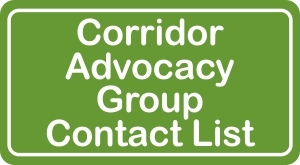 This form is to make changes or corrections to the Corridor Advocacy Group List.